Spring cleaning season is here, and some of us got a head start by taking Marie Kondo’s message to heart: You’ll be happier if you eliminate clutter. 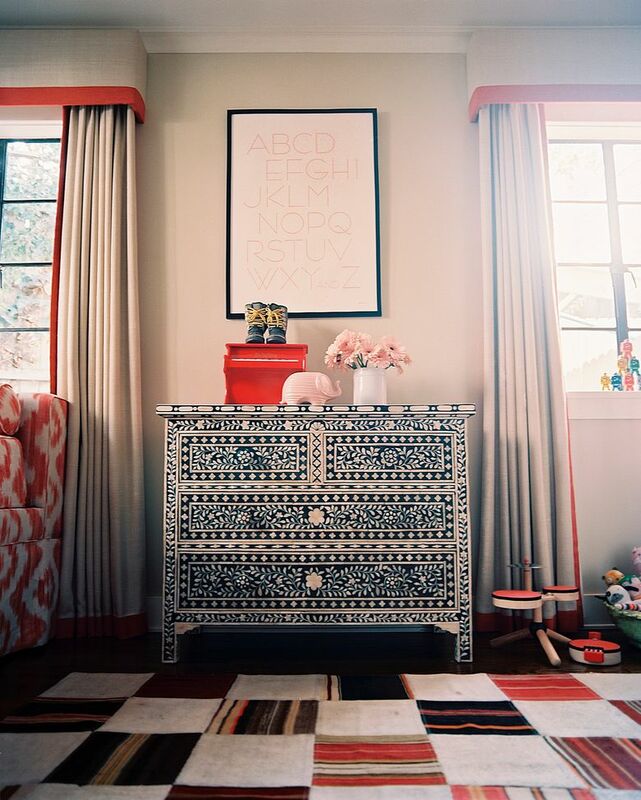 “Everybody wants their house to look like a magazine and that includes the kids’ rooms,” says Los Angeles designer Betsy Burnham. Once you’ve got those answers, Burnham says, there are lots of storage options out there. 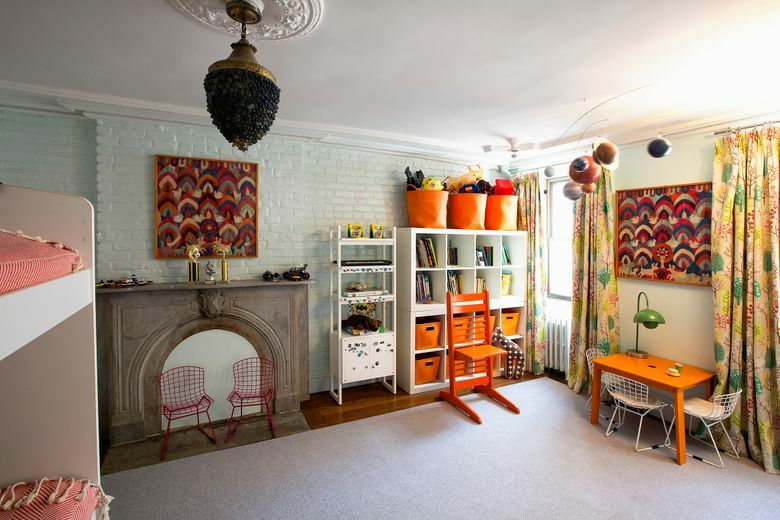 Here, she and two New York-based interior designers — Deborah Martin and Fawn Galli — offer advice on creating great kids’ bedrooms that can stay relatively clutter-free. Galli says she hears clients talking about Kondo’s anti-clutter message. But she says parents also want more restful bedrooms for their kids as a response to digital overstimulation and the pace of modern kids’ lives. She says a space can be colorful yet restful if it’s been planned with a consistent color palette and materials that work well together. Martin agrees: Choose a neutral color palette for the major design elements in the room, like furniture and wall color, she says. Then you can add pops of color through rugs, bedding and pillows. Another way to create a relaxing feel for kids: Leave open play space. Martin suggests considering the room from a child’s-eye view and planning storage from the ground up. Keep the most-used items where the child can easily reach them. Double rods in a child’s closet will maximize space and help keep clothing organized. For very young kids, you can even add dividers along the rods that specify clothing sizes, so you’ll know which ones they haven’t grown into yet. Keep your child’s habits in mind: Some kids will fold their clothing Kondo-style and tuck it neatly into drawers. If yours won’t, choose bins or baskets where items like socks and underwear can easily be tossed and kept sorted. To keep a child’s room from having a “kiddie” vibe that they’ll quickly outgrow, Burnham suggests avoiding primary colors. That might be easier to achieve by having less space rather than more: Desks don’t have to be large, Martin says, since many kids end up doing homework or projects at a kitchen table. A big desk in a bedroom can end up being a multipurpose space where a range of things quickly piles up. Involving kids in their room’s design “creates what you can call ‘pride of place,'” she says. And that might make it more likely they’ll keep the room tidy.